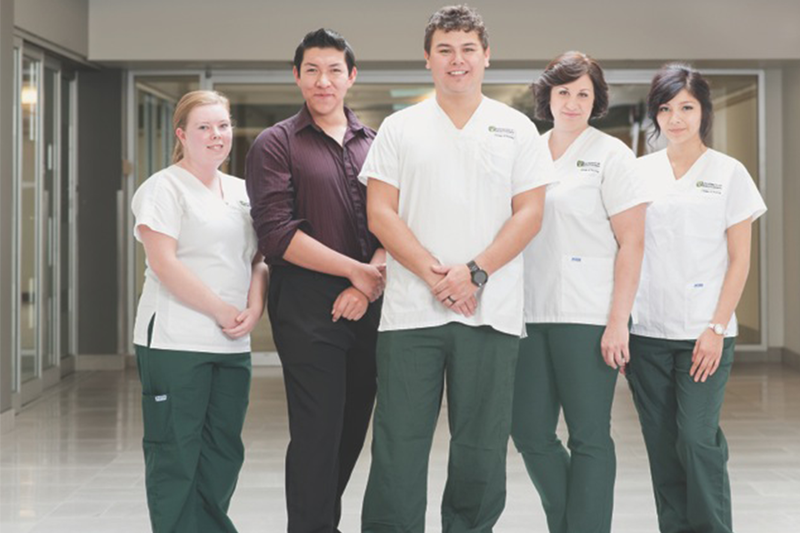 Achieving its long-term goal of proportional Aboriginal representation in its student body, the College of Nursing is extremely pleased to announce an undergraduate enrolment of 165 (17.3 per cent) Aboriginal students this term. Provincially, the 2011 census identified an Aboriginal representation of 15.6 per cent. It is well known, that a representative health care workforce is key in making health care services more accessible and acceptable for diverse client groups. The belief is, with an increase in the number of Aboriginal nurses, gaps in health outcomes among the province's Aboriginal population will close. "The College has been working towards this milestone for three decades" said College of Nursing Dean Lorna Butler. "We are proud that so many of the province's outstanding First Nation and Métis students have selected us for their education. It's a privilege to start them on their pathway towards a career as a Registered Nurse, where their skills and talents will benefit the health and well-being not only of Aboriginal residents but of all clients in our health care system." Find out more at the College of Nursing website.